Kurta 2.0 Comes With A Celebrity Seal Of Approval! Contrary to popular belief - dresses are always a tricky item to wear. Don't have the legs for a mini? Can't deal with the excess fabric in a maxi? Luckily, this season a new silhouette is making its mark and it’s probably there in your existing wardrobe. 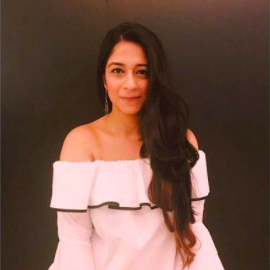 Let me introduce you to the ‘kurta dress’. Rooted in the Indian culture, these dresses are comfortable and chic and a street style favourite. You can flaunt these gorgeous kurta dresses for almost any event on the calendar - work, weekend or weddings. 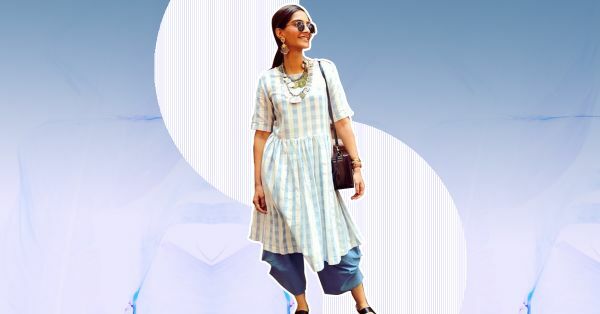 Spotted on celebrities like Sonam Kapoor and Alia Bhatt, kurta dresses can be easily spotted on the red carpet or your local metro. Here are a few that are just as stylish as the ones your favourite celebrities are flaunting just without the hefty price tag. Go on - start shopping already! When the most stylish woman in the film industry is spotted acing the kurta dress - that's validation enough that you should too. Pair a striped kurta dress with or without palazzos (the choice is yours). Feel free to go heavy on accessories such as funky earrings and necklaces. Don't forget to add kolhapuris to channel your desi side. This gorgeous printed kurta dress is just what you need to perk up your collection. Style it with gold jhumkis and contrasting coloured juttis for a dressy occasion. Looking for something ethnic that will totally revive your wardrobe? Look no further than this printed number. Enhance the boho vibe by adding a tribal neckpiece. For a chic makeover of your basic kurta dress - look no further than this outfit. We love how Neha Dhupia has styled her kurta dress with a contrasting stole and white sneakers. Completely stylish and on point! We are huge fans of how Athiya Shetty has styled her kurta dress. For girls who want theirs to be figure-hugging, you can always add a belt to achieve that. Don't be afraid to opt for geometric prints - you have proof right here that they look really good.